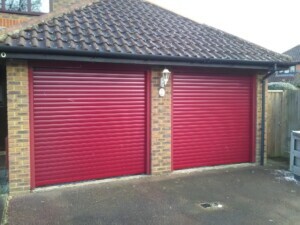 Here we have removed two old garage doors and installed two new Thermaglide roller shutters in Burgundy (RAL 3004). 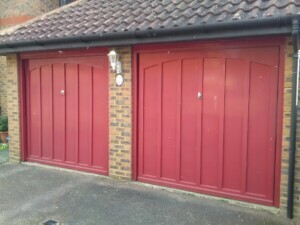 These insulated aluminium lath design garage doors, manufactured by Cardale, are ideal if the garage is used as a workspace or there is a bedroom above it, preventing the heat from escaping and the cold from entering. 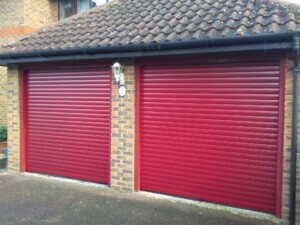 They are also an ideal solution if you have limited space on your drive allowing you to park right up against the garage. 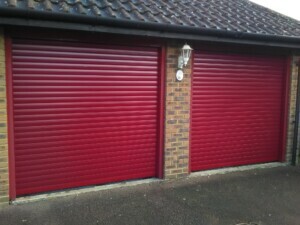 The Thermaglide roller shutter is available in a range of colours, sizes and can be fitted behind or in-between the opening.